Dr. Geoff Collins can combine personalized aesthetic and restorative techniques to create lasting success for a noticeably beautiful smile. Not only will you have improved self-confidence, you will improve the functionality of your bite, potentially closing gaps where food particles could be caught. Your overall healthy mouth will be perfect! Dr. Collins is happy to provide consultations on your available options, so make an appointment with him today. Porcelain veneers are an excellent cosmetic solution that can change your overall look for the better. You can alter the size, shape and color of your teeth. Minor gaps can be closed, chips and cracks in your teeth can be fixed, crooked or misaligned teeth will appear straighter and teeth can be made whiter. 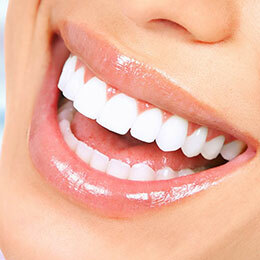 Veneers fit over the surface of your natural teeth and they are long-lasting. IF MY TEETH ARE YELLOW OR STAINED, WHAT CAN I DO TO BRIGHTEN THEM? 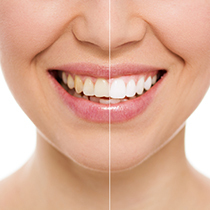 Teeth whitening in Dr. Collins office or with a home treatment can correct teeth discoloration or staining. 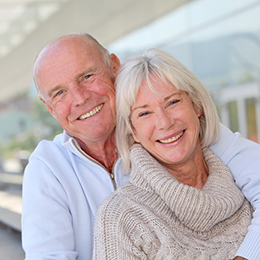 Whether caused by coffee or wine, medications, or general aging, Dr. Collins can give you the whiter smile you are seeking. In-office teeth whitening can be completed in a single appointment and you can leave our office with maintenance whitening solutions. Alternatively, Dr. Collins and his staff can make you a personalized teeth whitening tray to be worn at home with whitening gel to be used on your own schedule. 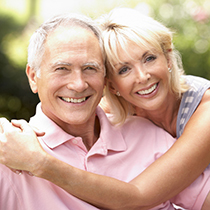 With Dr. Collins home teeth whitening you will see improvements within a few weeks. We can help you decide which option would be the most effective and suitable for your needs. Tooth-colored fillings are always used by Dr. Collins to create the most aesthetically pleasing cavity filling solution. A high-quality composite resin is precisely matched to your tooth color so that your newly filled tooth looks like it never had a cavity. The lack of metals also means that patients will not have sensitivity to hot or cold temperatures.